Failing well... what else can we say about it? Well, let's look at where it fits into the Relapse Cycle. 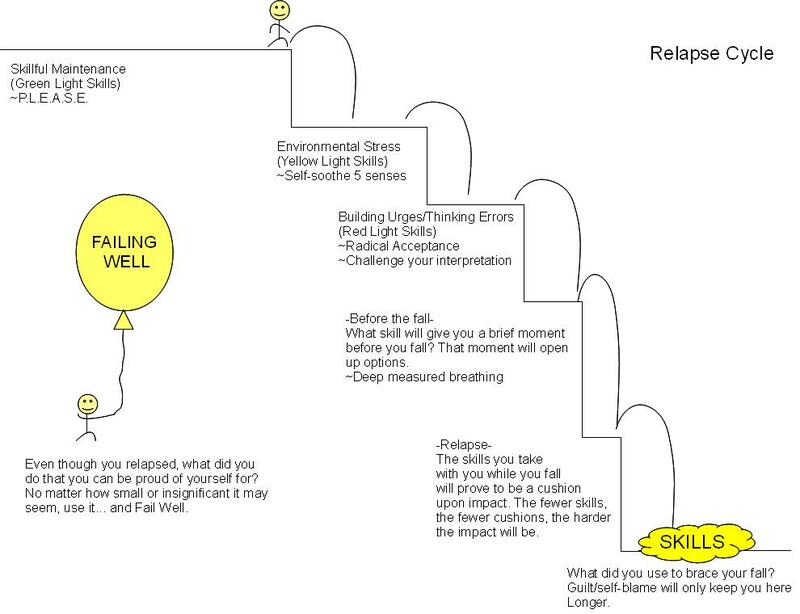 Remember, there are places to use skills on every step of the relapse cycle. It is never too late to use a skill, even if the others haven't yet worked! There is even a skill to use after the storm... Failing Well. So give it a go this week and let's hear what your experiences are with this. We had to cancel group this last week, so we will give it one more week to discuss cue controlled relaxation. Whether we finish it up this week or not, we will be moving onto something else next week. Hope to see you there!